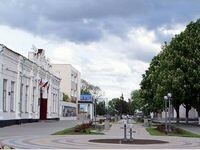 Village Leningrad - the third largest rural settlement in Russia. The inhabitants of the village have the opportunity to order IKEA furniture and household goods without leaving your home. In doing so, they help firms engaged in the delivery of goods IKEA в village Leningrad.